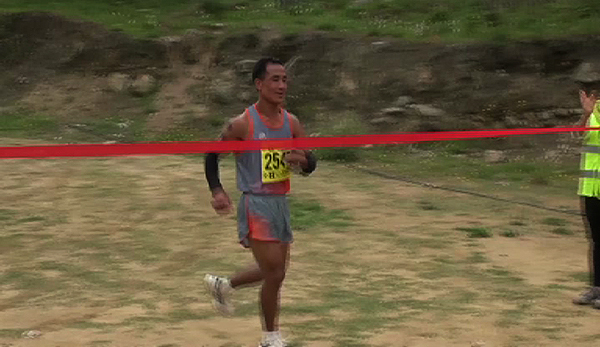 A boxing instructor with the Royal Bhutan Army, Nima Dorji, 29, finished the Himalayan Marathon in three hours and 36 minutes, coming in first place. He was among the 120 runners, including 17 foreigners from six countries, who ran the 42-kilometre marathon in Paro, yesterday. Hansmartin Kuenkeler from Germany came in second place by reaching the finish line nine minutes later than Nima Dorji. A 21-year-old student, Yeshi Norbu came third by finishing at three hours and 57 minutes. In 21-kilometre category, Dave Peel from New Zealand came first. Chhimi Nima, 19, also a student, took the second place and Ulrich Sauer from Germany came third. This is the third marathon in the country organised by 2.09 Events and Blue Poppy Tours and Treks. Mike Gratton of 2.09 Events said Bhutan’s nature is the main for organising the marathon here.